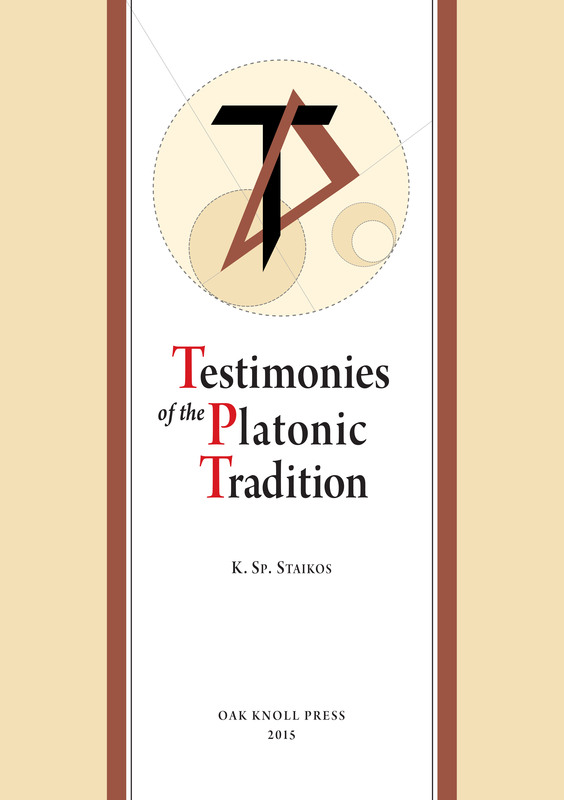 Testimonies of the Platonic Tradition is, in a way, a continuation of Konstantinos Staikos’s recent publication The Library of Plato and the Academy (2013). It deals with questions of transmission and classification of Plato’s Dialogues from the philosopher’s own age down to the 16th century, that is, with the fate of the Platonic corpus. As the chronicle of this journey unfolds, readers will be able to follow the foundation of philosophical schools whose teaching was based on Platonic theories and concepts, in East and West. They will also obtain an overview of the works of commentary and annotation of Plato’s works, composed by Greek, Roman, Byzantine, Latin and Arab authors in order to elucidate the philosopher’s thought. The books makes clear the importance of Timaeus from antiquity onwards, as this work became the bible of Platonism ever since Chalcidius paraphrased the dialogue into Latin and offered a classification of its subjects into categories. In addition, mention is made of the translation of Timaeus and Parmenides into Latin by the Greeks Henry Aristippus and George of Trebizond; the publication of the Latin translation of the philosopher’s Complete Works by Marsilio Ficino and the part played by the Platonic Academy of Florence in further transmitting the philosophy of Plato. The text also describes how Marcus Musurus prepared his editio princeps of Plato’s complete works and finally deals with the historical period when the debate over the primacy of Plato or Aristotle broke out.